My Fifth Blogiversary!! With a Giveaway, Of Course! As I was lying in bed last night, it dawned on me that I’d missed something important–the anniversary of my very first blog post! Yesterday marked five years of blogging, and I completely forgot to mark it. Oops! And the funny thing is, I completely noted it last week and planned to pull together all my statistics in time for Tuesday, but it slipped my mind with the lack of internet on Monday. So it’s happening a day late. Here are some fireworks to celebrate! 10. MMGM: SAMMY KEYES AND THE HOTEL THIEF – I wrote this review ages ago. It’s the first book in a series of middle grade mysteries. I think perhaps it gets assigned in school. Great book, though! 9. Subjectivity and Why You Should Get Multiple Opinions – One of the only writing posts that made it on this list, but it’s a very important point–get MANY opinions on your manuscripts! 8. Series Recommendation: DIVERGENT by Veronica Roth – I think perhaps because of the movies, this series review was visited a lot. 7. YA Series Recommendation: The Selection by Kiera Cass – LOVED this series, and a lot of other people do, too, apparently, as they’re searching out reviews. 6. Before the Draft: Outlining in Scrivener – An older post, but it’s linked to on a Scrivener board somewhere :). 5. MMGM: ONCE UPON THE END by James Riley – The finale in Mr. Riley’s HALF UPON A TIME series. I highly recommend it! 4. What I’ve Learned in Five Years of Querying – My annual roundup of what I’ve learned from the querying process. Still hoping to avoid a six-year post in July :). 3. 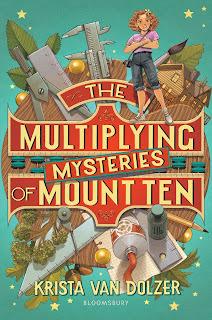 A Glimpse at My Agent Spreadsheet: Middle Grade Books I’ve Read – The post that started my page listing middle grade and young adult books agents represent (see No. 2 below). 2. MG/YA Agents & Their Books – I created this page a few years ago because I couldn’t find anything like it, and apparently others can’t either since it’s so popular. I maintain it as a resource for writers who want to read up on agents’ books before querying. 1. Remembering a Friend Lost Too Soon: Ashley Gammon – A year ago January, my friend and former colleague Ashley passed away unexpectedly. I wrote this post as my own tribute to her, and for the second year in a row this post has been the most visited on my blog. Sadly, I noticed a spike on a particular day this year and discovered it was because another young woman who shared her name died unexpectedly and people who were searching for answers ended up on my blog. My heart goes out to the other Ashley’s friends and family. Many of these are the same, but humor me :). 10. MMGM: WHEN THE BUTTERFLIES CAME Trailer Reveal, Interview and Giveaway! – Oh, a different one sneaked in! An excellent MG book! 7. MMGM: THE UNWANTEDS: ISLAND OF SILENCE – Another popular MG series. 6. About – Thanks for reading about me :). There were 615 unknown search terms. I really want to know what those people searched for to land on my blog, but oh well. Here are the top five searches WordPress can tell me. 5. Writing/Querying – Although it didn’t show up in my top posts for the year, several people were searching for answers on re-querying agents after a major revision. You know, I still can’t give you a definitive answer on that one, but you can check out my post. 4. Searches for me! – And I think they actually were all for me this year, since they tagged blog on the end or put an I in the middle, but who knows for sure? 3. Books I’ve reviewed – I’m sure you can tell which books top these searches based on the books listed in my all-time stats above. 2. Agents who represent middle grade/young adult books – Agent searches edged out searches for books I’ve reviewed this year. Most were searches for particular agents, but there were several searches for agents who represent YA fantasy, and they definitely can find that on my list of MG/YA agents and the books they represent! 1. Searches about Ashley – While some of these searches were for my friend, mainly they were for the other Ashley. So that wraps up my statistics. On to what you’ve been waiting for–the giveaway! Since I don’t have a pile of books–signed or otherwise–sitting around this year, I’m giving away a $25 Amazon gift card! Because all anniversaries deserve celebrating! Yay! (Is that enough exclamation points yet?? To enter, simply click on the Rafflecopter link below and follow the instructions. Easy peasy! And as always, let me know if there’s anything in particular you’d like me to cover on the blog. I’m open to suggestions! Hey, Michelle! Congrats on your 5 year blogiversary! Whoot! And I am definitely going to take a look at your agent spreadsheet post right now! Happy 5th Blogversary to you!! I tend to miss the date on my blog most of the time, although I’d always like to celebrate that I’ve been at this for six years. Like you, I like to look back at what people commented on the most. I’ve never thought about the search terms so will have to take a peak at that. Happy reading. Congrats on your blogversary. Blogging for 5 years is a big accomplishment. I don’t always celebrate mine but I am always looking at my stats and comments to figure out what is working and what isn’t in terms of comments and page views. Kudos on your five year anniversary! So many congrats! I love your lists, and how organized you are. I think I must be coming up on ten years blogging (!!!) but I’ve gone at it from so many directions, I doubt I have much left to show for those early years. Yours is awesome, and I know I’ll be exploring for awhile!